Unfortunately the "Free Baby Hoodie Romper with Ears (Sizing Newborn to 24M)" offer is no longer available. Here's your chance to score this adorable baby hoodie romper with ears from Walmart after cashback. Plus, shipping is also free. It's available in three different colors. Sizes include 0-3M, 3-6M, 6-9M, 9-12M,12-18M, and 18-24M, while supplies last. It would make the cutest Easter portrait! 3. Add one (1) Unisex Baby Hoodie Rompers Autumn Winter Long Sleeve Jumpsuit with Ears priced for $10.98 to your cart and shop as you would normally then checkout. If the price changes or anything happens to the stock, the deal is officially over. 5. 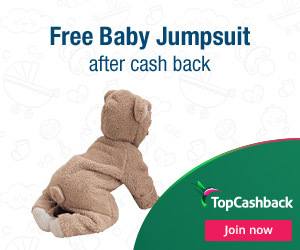 In about 14 days $10.98 cashback will post in your TopCashback account.